Kellykonomi.com ♪　Let's be pretty together: Yano Anna Cheki fan meet! Yano Anna Cheki fan meet! Back to the Japan blog posts again! 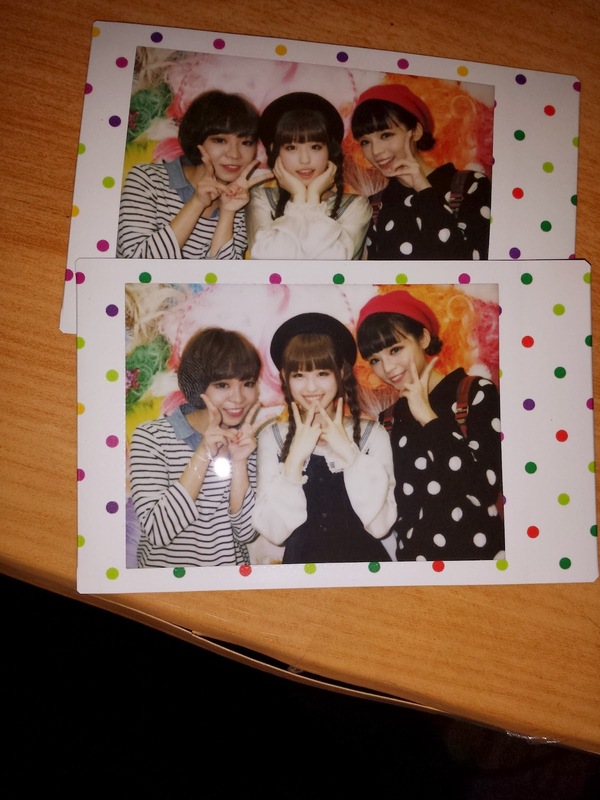 So on the second of our trip, we went to Yano-chan's cheki fan meet! She's quite surprised to see us there as we didn't tell any of the asobi staffs that we will be heading there. It had beeen sooo long since we've last met her. The past few trips i didn't manage to meet up with her because of the tight schedule. so happy to be able to meet up with her this time round! the event is held at Cute Cube! Remember the newly opened shopping mall in Harajuku Takashita dori? Ayumi and Yura are the ambassador of Cute Cube! Asobi station is a store that sells many harajuku pop items! What's really cool is that they sell used clothes from many iconic harajuku models! They also sell items that the models recommended or personally picked up! So if you're a fan of harajuku styles, do make sure you head down to this store! You can get lotsa styling inspiration from them! Because we came early for the event, we went to shop around. they have SPINNS at the second level! I have to say SPINNS and WEGO are one of my favourite shops in japan cause they are funky yet affordable! halloween accessories designed by AMO! and while we were shopping, we heard a commotion outside! they are having a matsuri!! do you spot anyone inside this photo? the famous harajuku cheki photographer! he also helped us took a couple of photos with yano chan! had a great time catching up with yano chan and her manager! PS: I'll be continuing the next post with ALICE in the wonderland CAFE! recently, i like e-girls too!